the canDIshhh tales: The OFFICIAL countdown begins..
Today's the day that I have finally accepted that I am indeed, getting married. This morning - I finally went to my make-up artist for a trial session, my Panget was there with me. I was made up, I wore my wedding shoes, I wore my (incomplete) wedding dress. It was then that I realized - this is it, only a few more days left and I will be Mrs. Panget. Questions, doubts and so many other things are in my head - Will I be ready? Will I cry while walking down the aisle? Will I be relaxed? Will I become a bridezilla? Will it be the happiest day in my life? natawa naman ako sayo... talagang mrs. panget pa sinulat mo. LOL! 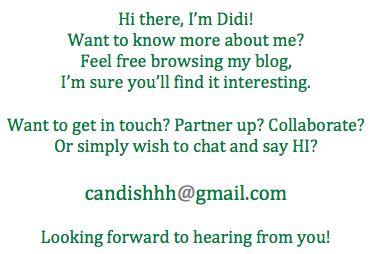 I am soooo excited for you Didi!! !